As the area’s paint specialist, we know a lot of you do your own painting. So, we thought you would like to know how to keep your brushes clean and in good working condition. First, no matter how much of a hurry you’re in, at least three generous rinses are needed to properly clean your brush. If you’re right-handed, hold the brush in your left hand and dip the brush deep into the thinner or water. Next, bring the brush up until the bristles are pointing straight over the pot of thinner or water. Then, take your left hand and squeeze the bristles, forcing the water or thinner from the heel of the brush. Spin your brush in your palm to remove any excess water or thinner at the end of your last rinse. If you followed the instructions, you should see paint coming out. I know some customers try to get that final water or thinner out by hitting the brush on top of their boot or any other hard surface. This is a big “no-no!” Doing this may cause bending in the metal frame, which holds the bristles in place and straight. If the metal is bent, it’ll cause the bristles to stick out much like a cowlick and it can loosen the parts that hold the bristles together. Another problem I’ve found is that people use wire brushes to remove dried paint or to reshape the brush after you’re done spinning. A wire brush will damage the filament, which in turn will not let the paint flow evenly onto what you’re painting. I’d recommend a paintbrush comb that cleans from the inside out and doesn’t damage the filament. Finally, when cleaning your natural bristle brush with a hot solvent such as lacquer thinner, it’s good to give a final rinse with mineral spirits. 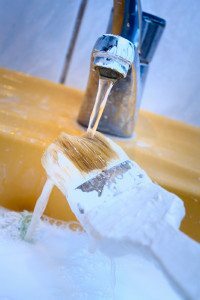 If you’re working with deep colors or latex, wash your brush in hot, soapy water. If it doesn’t come out thoroughly clean, do a final rinse in mineral spirits. Also, don’t ever leave your paintbrushes in paint or water overnight. This will disfigure the bristles because of the weight of the brush sitting on the bottom of the can. When you go to use the brush, it won’t make a decent edge. I hope this gives you a little insight on how to keep your brushes clean while lasting longer. If you need any painting inside or out, call me, Brian “Boomer” Garleb, at 618-282-3454 ext.15. I’m happy to help you with all your painting needs. 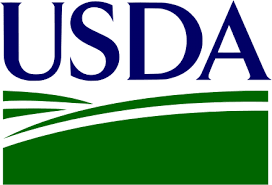 On Monday, March 10th, the U.S. Department of Agriculture (USDA) announced in a news release that they’re expanding on their Farm Storage and Facility Loan program. This program provides low-interest financing to producers for grain storage systems and other commodity storage and sorting equipment. What does this mean for local farmers and farm-property owners? It means it may be easier financially to expand and/or upgrade your grain storage facilities. Security requirements have been eased for loans between $50,000 and $100,000. Before the recent change, all loans higher than $50,000 required a promissory note or additional security, such as a lien on real estate. But now, loans that are up to $100,000 are secured only by a promissory note. Low-interest funds can be used towards building or upgrading permanent facilities to store eligible commodities such as grains, oilseeds, peanuts, pulse crops, hay, honey, renewable biomass commodities, fruits and vegetables. The qualified facilities include grain bins, hay barns and cold storage facilities for fruits and vegetables. If you want more information regarding the expansion of the Farm Storage and Facility loan program, contact your local FSA office or visit www.fsa.usda.gov. We’ll be happy to help, as well. Call Gateway FS Construction Services and we’ll give you the details to design your new or upgraded grain storage solution with the help of this USDA program. Spring is FINALLY here and now is a great time to start building or planning the building process on your dream structure, whether it’s suburban, commercial, or agricultural. At FS Construction Services, we want our customers to be aware of the entire building process, while also educating them on the importance of the building components that go into each and every structure we build. In that regard, we like to reinforce a start-to-finish process developed by Walters Buildings. The Walters Building guide has been implemented so that no step is overlooked and each building aspect gets the appropriate attention that it needs. In addition, the guide’s purpose is to outline each building component and why they’re vital for the completion of your structure. 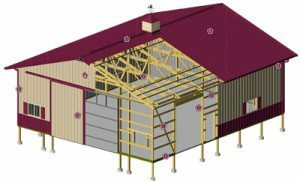 With this instructional and educational guide, it helps us to demonstrate our building standards and the qualities of the products we use to build your dream building. We believe in accuracy, efficiency and reliability. We also believe that having an overall understanding of the building and its progression gives our customers a stronger involvement during the building process. It’s important to us that we provide our customers with comfort and ease, especially when it comes to completion dates and the overall integrity of the structure. If you have questions regarding the Walters Building guide or you’re thinking about building a new structure, contact FS Construction Services today at 866-551-3454 to get in contact with our building specialists.